Interested in learning about the history of a particular psychology department in the United States? 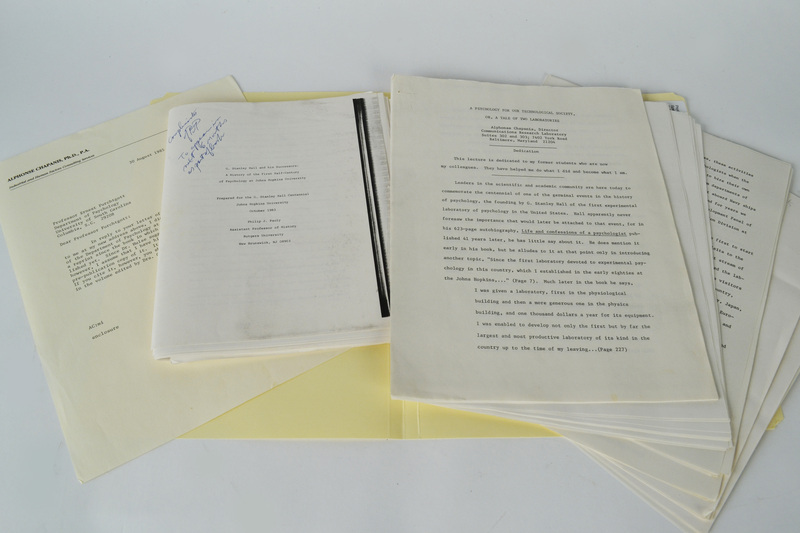 We might have just the thing for you: The CHP Psychology Department Histories Collection. The collection is comprised of departmental histories, some casual and some formal, some lengthy and some brief. Some are written as in-depth research papers, while others are more reminiscences in the form of correspondence. Although each written history is different, they generally document how the psychology department developed within the university, how it fit into the academic structure, and who was in the department and what role they played. Currently, the finding aid lists 56 psychology departments around the United States. 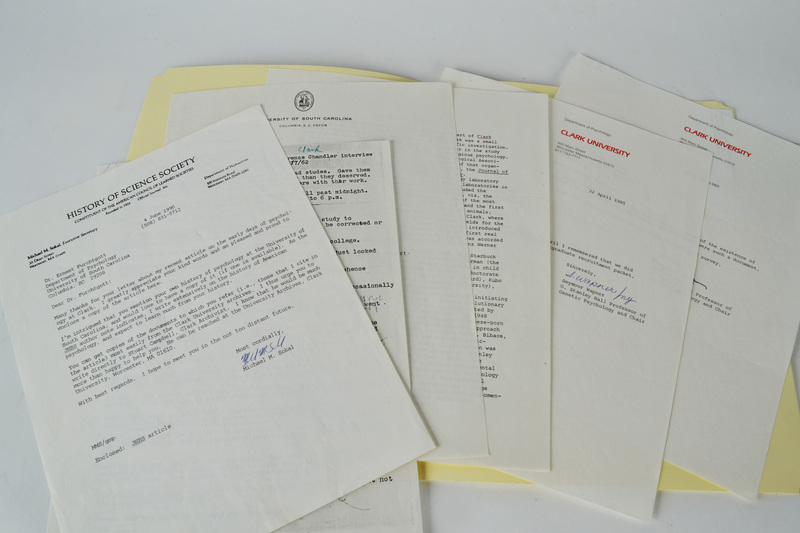 Some notable psychology departments in the collection include: Brown University, Clark University, Johns Hopkins University, Iowa State University, the New School for Social Research, and Oberlin College. The Psychology Department Histories Collection compliments other CHP collections. For example, researchers interested in Clark University might also be interested in this photograph, taken at the Clark Conference in 1909. 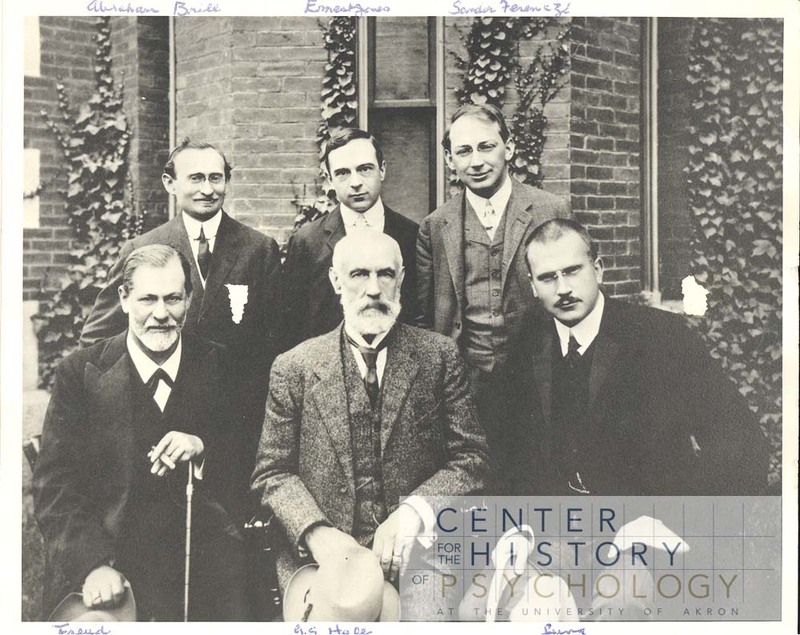 It depicts A.A. Brill, Ernest Jones, and Sandor Ferenczi (back row); Sigmund Freud, G. Stanley Hall, and Carl Jung (front row). Many of the histories compliment other CHP collections as well, including manuscripts and apparatus. Browse or search through the CHP digital Repository for more resources. The CHP continues to collect psychology department histories, so check the finding aid for additions.